Moving long-distance is an exciting and challenging prospect. There are boxes to pack, utilities and other services to rearrange, and preparations to be made for the start of a brand-new life somewhere else. While any long-distance move can be a challenge, moving abroad to another country presents an entirely different set of complicated issues—and with them, a whole set of reasons to be even more excited about the change. As one of Miami’s leading movers, A-1 Fargo has been serving our customers with dedicated international relocation services since our founding in 1942. If you’re thinking of moving to Portugal from Miami, we’re the most trusted experts that can help guide you through the process, with specialized services designed to make international moving a breeze. Moving internationally can be difficult but having the right tools to navigate the process can make a world of difference. Here are some of our most valuable tips for those moving to Portugal from Miami, and what you can to do prepare for a smooth and successful international relocation. The moving company you choose to help you with your move must be a certified, licensed company experienced in relocations. For the best outcome, trust companies that are accredited by the Better Business Bureau, have high ratings online from former customers, especially those that have moved internationally, and make sure that the mover is verified with the Interstate Commerce Commission. Performing this background check will ensure that your mover of choice is reputable and knowledgeable in international moves and can help to avoid potential problems down the road. Another feature to look for in your moving company is an alliance with an official moving network. For example, A-1 Fargo is an affiliate of Atlas Van Lines. Our affiliation ensures that your relocation needs will be taken care of, due to our connection to worldwide resources and unlimited global solutions offered by this partnership. If any problem should arrive during the planning or execution of your move, you’ll know that we have the state-of-the-art resources to take care of it for you, no matter what. Unlike moving within the country, an international move will require a series of careful steps to ensure that you and your belongings safely and legally enter the country. 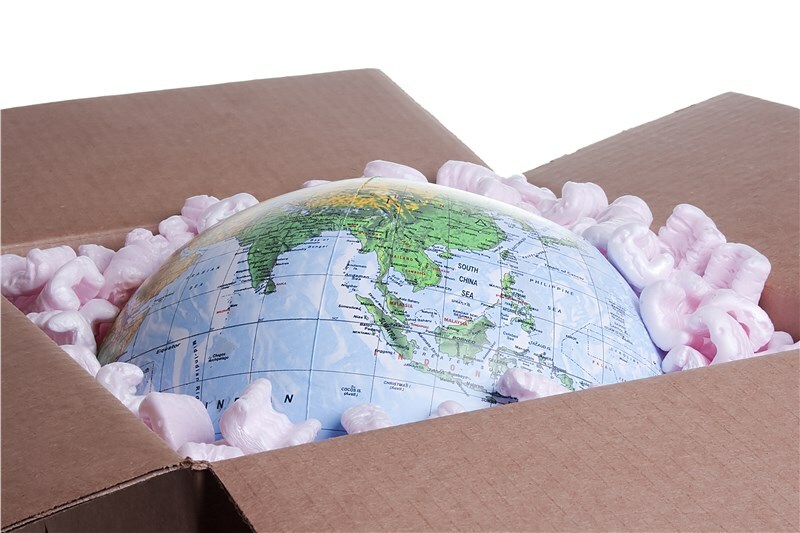 One of the major differences between moving across the country and moving internationally is that in most cases, overseas shipping will factor heavily into your plan. Overseas shipping can present a wide variety of obstacles that will require careful planning and logistics. When relying on international shipping, a reputable international moving company can help you make the necessary arrangements and file the right paperwork before your move, determine appropriate shipping deadlines and customs regulations, custom and regulations for transport, and coordinate the arrival of your belongings with your travel plans. You will also need to know which items you have that are not allowed to enter the country of Portugal, whether by airport travel or through overseas shipping. Some prohibited items include some firearms, weapons, and ammunition, drugs and narcotics, pornographic material, gold in bars, perishable foods, and games of chance. Also listed as restricted items unable to legally enter Portugal are brand new items and merchandise, items that seem new and do not show signs of use, electrical appliances and electronic items, tobacco products, antiques, and alcohol. For more information on what is allowed and what isn’t, make sure to contact a customs agent before planning your move. Attempting to take prohibited items into Portugal, whether they’re shipped or with you at the airport, will result in them being shipped back or abandoned at your own expense. There is no question that moving to Portugal from the U.S. is a large and complicated undertaking. Because of this you will want to hire an international moving company to assist you in the moving process. Backed by 65+ years of experience, our moving experts deliver a smooth moving experience as your international moving company. Starting with our in-home estimates, we work with you to make a customized relocation to fit your time restrictions and on budget. Ready to schedule your move? Give us a call to speak with one of our agents about our international moving services or fill out our online form to schedule your free, in-home quote for our move to Portugal.